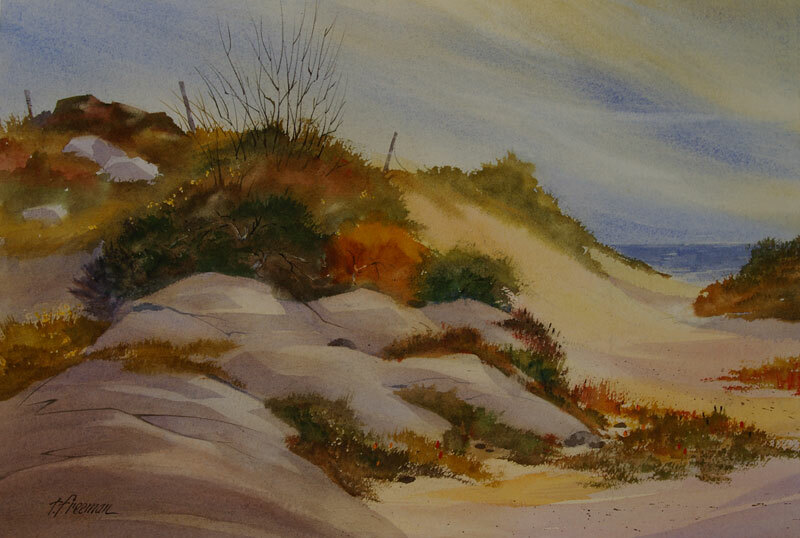 Thomas Freeman Original Watercolor Painting: "Quiet Place"
For this painting, it's an afternoon scene and the sky shows it's a windy day. I started in doing sketches of the rocks, then the foliage, and built it into a rocky dune scene. It was inspired by similar scenes I've often encountered around the Pacific Grove area near Monterey Bay.